The sweet chestnut - Castanea sativa is a fast-growing and large deciduous tree noted for its edible seeds and for its tannin-rich wood. Native to Europe and Asia Minor it is also commonly known as the 'Spanish chestnut' or simply 'chestnut'. Introduced to Britain during the Roman occupation the seeds have been used in cooking since ancient times and are most commonly served roasted. However sweet chestnuts are surprisingly versatile and can found as an ingredient in confections, puddings, desserts cakes, and bread making to name just a few. It can also be used as a coffee substitute! Given favourable conditions the sweet chestnuts can attain a height of between 20–35 m, a spread of approximately 15-25 m and a trunk that is often 2 m in diameter. The trunk itself has a rugged, grooved bark, and appears to twist round as the tree matures. The oblong-lanceolate leave are mid-green in colour, prominently veined and toothed at the margin. Each leaf can be between 15-30 cm long and 5–10 cm wide. Erect pale-green catkins 10-15 cm long are borne in July, and once pollinated are followed by large spiny burrs which contain the edible red-brown seeds. Each burr can containing 3-7 brownish nuts which are shed naturally during October. 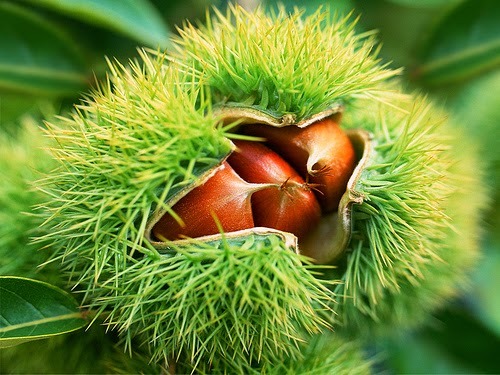 The sweet chestnut will require a mild climate and adequate moisture for good growth making it ideal for warmer European climates. In fact they were a popular choice for landscaping in England, particularly in the 18th and 19th centuries. They will thrive in most, good garden soils so long as they are planted in a sunny position. However they will tolerate a certain amount of shade. They will perform best on slightly acidic soils and it should be noted that Castanea sativa is relatively intolerant of lime. Be aware that the sweet chestnut tree is sensitive to late spring and early autumn frosts. 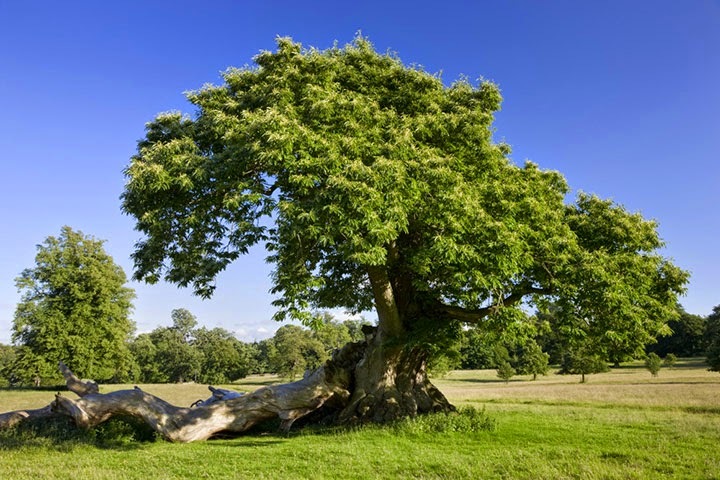 The sweet chestnut - Castanea sativa received its Award of Garden Merit from the Royal Horticultural Society in 1984. WHERE DO PEANUTS COME FROM? WHY ARE MY LEMON LEAVES CURLING?